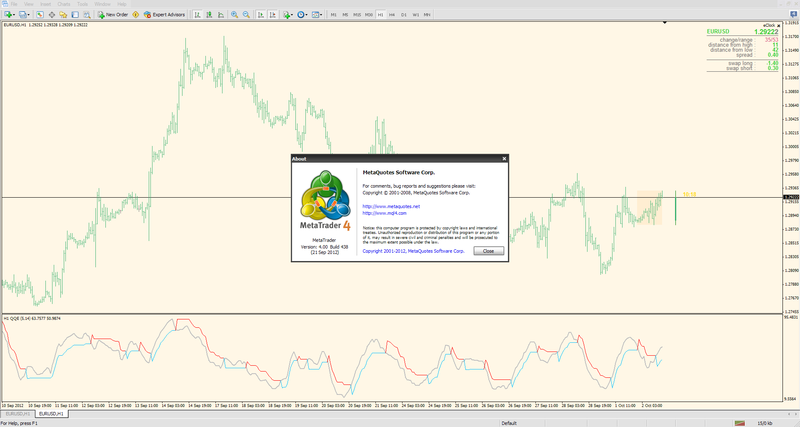 A bug of metatrader 5. If you open multiple files for editing and change a couple of them, when you compile any all are saved without even asking you if you wish to save them. Be careful because you might end up with a code that you do not remember how it got in that state. This is probably the stupidest bug I have seen in code editors and compilers. A "five start bug"
One more of metatrader 5 : If you open multiple files for editing and change a couple of them, when you compile any all are saved without even asking you if you wish to save them. Be careful because you might end up with a code that you do not remember how it got in that state. This is probably the stupidest bug I have seen in code editors and compilers. A "five start bug"
Terminal: Fixed trade history request by "Custom period" time range. Terminal: Fixed Push messages having invalid MetaQuotes ID. Terminal: Fixed possible incorrect display of company data in About window. Terminal: Fixed translation of the interface into Mongolian, Czech and Turkish. Terminal: Fixed support for fixed demo account balance. Tester: Improved file cache operation during optimization. MetaEditor: Fixed working with clipboard. indicators posts #4149 and #4150) are due to MT4 built 438. Before,(432 and 434)the same indicators worked properly. Can you tell me how I can go back to build 432 or434??? ?